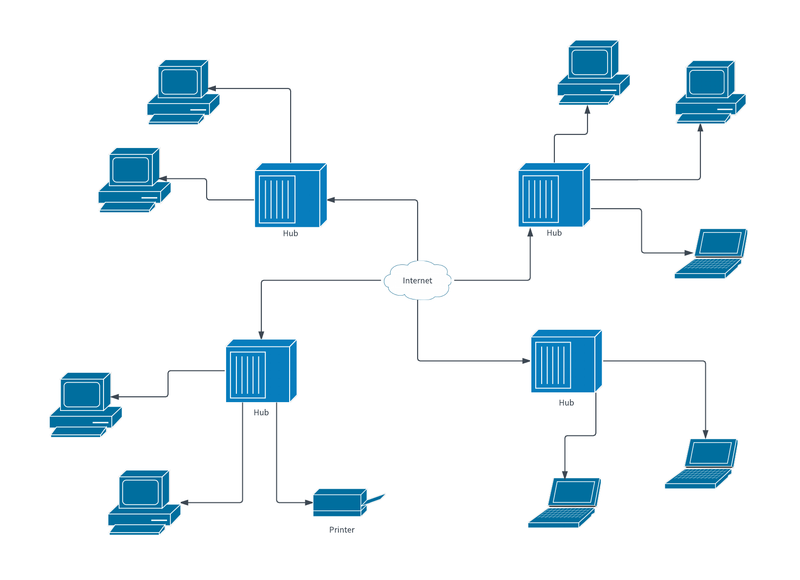 Network diagrams provide a visual representation of the relationships between computers and other technical nodes. They can be used to document a simple computer network for a single home or a complex technological infrastructure for an entire city. This sample network diagram template is ready for you to use to create any type of network diagram. Just sign up for a free Lucidchart trial and start editing the template to meet your specific situation.